Over the years The Samburu Project’s work has been supported by a variety of generous partners. Whether you are interested in Sponsorship, Matching Programs or simply raising awareness, there is always a way for your company to get involved. Each fall The Samburu Project hosts our annual Splash Bash fundraising gala in Beverly Hills, CA. The evening offers silent and live auctions, live musical entertainment, dinner, and the chance to celebrate a like-minded spirit and a concern for global issues. There are various levels of Sponsorship available, from company tables to our Title Sponsor slot. Past Splash Bash Sponsors include Wells Fargo, Tito’s Handmade Vodka, JuiceCrafters, BoxedWater, Whole Foods, and Latham & Watkins. In-Kind donations are a wonderful way to support clean water, while also promoting your brand and reaching new customers. Our Splash Bash Silent Auction is composed of 100% In-Kind donations. Previous partners include Nobu, Malibu Wine Safari, Sole, the Los Angeles Clippers, and CorePower Yoga. Silent Auctions not your scene? 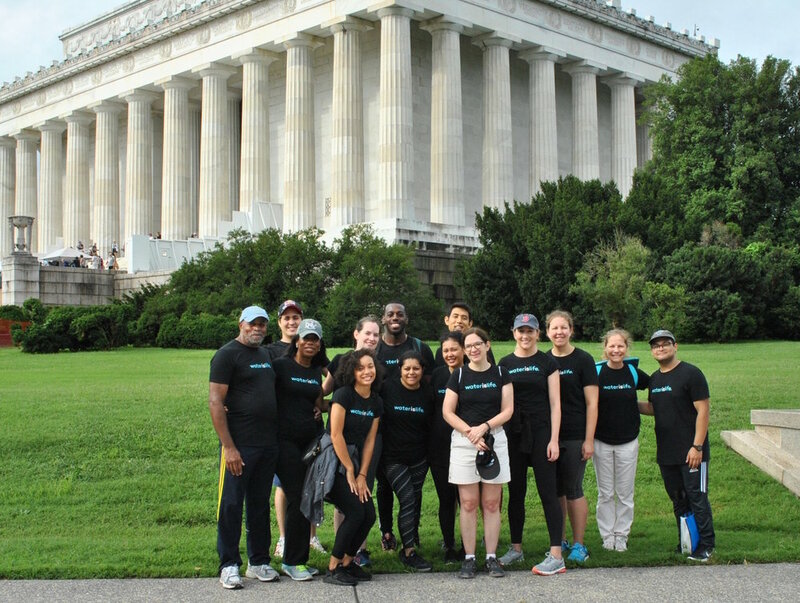 Throughout the year, we host fundraising walks around the country to raise money and awareness for clean water. You can support your local walk by hanging posters in your store, donating a gift card, or providing product for our walkers! Past Walk for Water donors include Trader Joes, Justin’s, This Bar Saves Lives, Boxed Water, and Chobani. What began as a local fundraiser in Hermosa Beach, CA has become a national campaign. Supporters around the country are rallying their friends, family, and companies to walk in solidarity with the women of Samburu and raise money for clean water! Our Team works with walkers every step of the way to schedule the event, plan the route, and execute an outstanding event. Interested in hosting an event with your company? Many employees are looking for a way to give back. Give your employees an option to donate a portion of each paycheck to go to The Samburu Project. Want to make their impact go further? Commit to matching funds﻿ raised by your staff! Launch a product that gives back! 90% of consumers will switch to a brand that support a good cause. Whether it’s a bracelet, cute mug, or a whole line of clothing- pick a piece and donate a percent of each sale to support The Samburu Project! Invite your customers to round up their purchase to the next dollar and donate their change for CHANGE! Don’t have the means to donate this year but still want to help out? You can still how your support by following us on social media, sharing our posts, andspreading the word about clean water! OVER 90% OF CONSUMERS WILL SWITCH TO A BRAND SUPPORTING A GOOD CAUSE. BY SUPPORTING THE SAMBURU PROJECT YOU ARE NOT ONLY RAISING AWARENESS FOR THE WORLD WATER CRISIS, BUT SHOWING THAT YOUR COMPANY IS COMMITTED TO MAKING THE WORLD A BETTER PLACE.